The long-tailed distribution characterizes many properties of Internet traffic. The property is often modeled by Lognormal distribution, Weibull or Pareto distribution theoretically. However, it hinders us in traffic analysis and evaluation studies directly from these models due to their complex representations and theoretical properties. 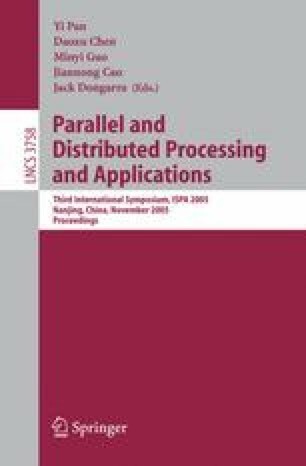 This paper proposes a Hyper-Erlang Model (Mixed Erlang distribution) for such long-tailed network traffic approximation. It fits network traffic with long-tailed characteristic into a mixed Erlang distribution directly to facilitate our further analysis. Compared with the well-known hyperexponential based method, the mixed Erlang model is more accurate in fitting the tail behavior and also computationally efficient. This project was granted financial support from China Postdoctoral Science Foundation under grant 2005037114.